Unfortunately, many of the newer auto glass replacement [link to auto glass replacement page] companies in the Pasadena area of LA County keep their auto glass replacement cost artificially low. In many cases, it has been discovered that these companies will try to maximize their profits by using cheap or imitation glass when performing services for their clients. This practice is not only unethical, but it can put you at a much greater risk of harm in the unfortunate event that you get involved in an auto accident. If you want to avoid these issues and hire one of the most reputable car glass service providers in the local area, then you should definitely consider making Mobile SGV Auto Glass your first phone call. Our friendly customer service staff will always go out of their way to answer your questions, and we will always deliver a competitive price on any of our mobile glass repair services. We also love to answer your questions, and you will quickly see why our company is one of the top-rated in the business, and you will not be disappointed. We look forward to taking care of your auto glass needs, and we look forward to serving you. Many car and truck owners mistakenly believe that the auto windshield replacement cost for a significantly damaged windshield is going to be exorbitant. Even if you drive a high-end sports car, this does not have to be the case. When you make the smart decision to partner with Mobile SGV Auto Glass, then you will quickly see why our customers love our mobile glass repair team. We stand behind all of our work 100%, and our company policy is to always deliver free estimates to our current and prospective clients. We always encourage our clients to shop around with the competition in the local area, and you will quickly realize what a great deal you are getting by choosing the best company in the field to take care of your windshield replacement needs. If you are in the market for a glass repair or replacement service, please give our friendly staff a call today. We will always answer your questions, and you will not be disappointed in the quality of our work. 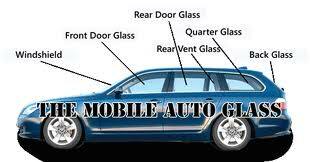 We look forward to serving you and fixing any issues that you have with the glass on your automobile.